To use Properly to schedule a cleaning, maintenance, or service job at one of your properties, you’ll start by sending out a job request. This article covers how to schedule a job with one of your current service providers. You can click here to learn how to send a job to the Properly Community Marketplace. 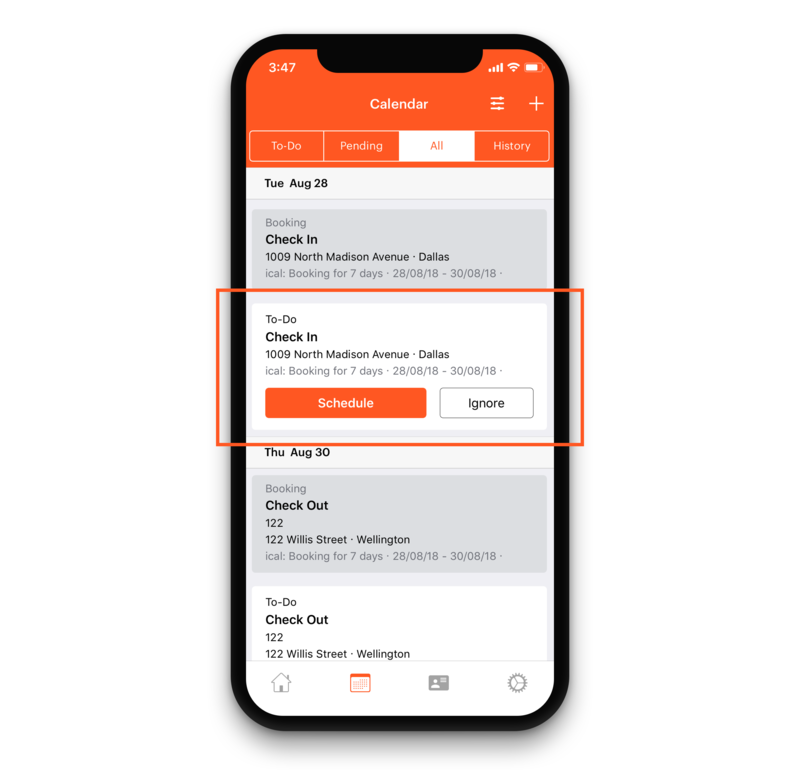 You can schedule a job in any property, or from your calendar. Select the property you want to schedule a job for. Locate the cell that coordinates with the property on the left and the date on the top. Click on a cell to pull up a Job Request form. 3. Either option will open the Job Request form. Fill out the job request by choosing one or more checklists, setting a fixed or flexible start time and date, selecting the service provider(s) you want to send the request to, adding an offered price (optional), and a message along with the request (optional). You can also edit Property Details on this form. 4. Click Send Job Request. 1. Schedule a job from a property or from a new booking. 2. Fill out your request by choosing one or more checklists, setting a fixed or flexible start time and date, selecting the service provider(s) you want to send the request to, adding an offered price (optional), and a message along with the request (optional). 3. Click Send Job Request. If there is a window of time during which the job can be completed, use flexible start time to tell your provider when the property is available to be cleaned, how long the job will take and when the job needs to be completed. Then they can choose when to do the job. Read more information about this feature here.